In general, healthcare marketing tends to follow a step behind evolving marketing trends. However, as your hospital or organization looks to integrate digital strategies into the mix, you cannot afford to overlook the juggernaut that is the mobile marketplace. The following is a look at some new mobile data that you should take to heart in an effort to optimize your healthcare marketing approach. Local search traffic has been on the rise in recent years, as consumers have access to precise tools to identify and contact providers in their area. Last summer, Google indicated that local searches were increasing 50 percent faster than mobile searches overall. 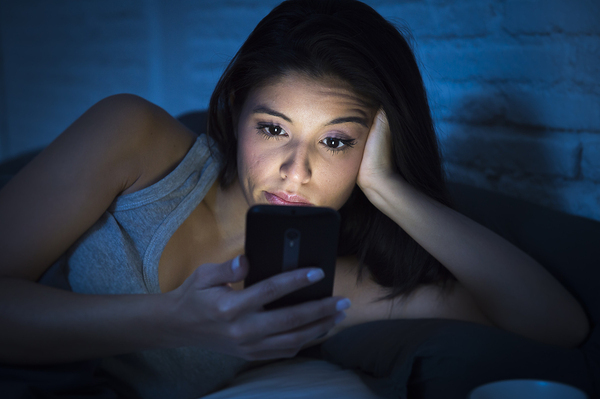 With virtual 24/7 access to health information and resources on their phones, people don’t want to wait to resolve what ails them. Health information is the most heavily consumed topical area on mobile devices. Investigations into resources and providers begin with a search. By optimizing your local SEO strategies, you put your practice in the best position to appeal to new prospects. It is hard to believe some wondered if increased mobile search activity might negatively affect Google’s AdWords revenue. In fact, it contributed to a 21 percent increase in year-over-year spending during the first quarter of 2017, according to Merkle, and a 19 percent sequential increase from quarter four of 2016. Smartphones were the major driver of growth, with a remarkable 51 percent year-over-year change. In summer 2016, Google finally enabled individual-device bidding on AdWords, meaning companies could separate their budgets for desktop, smartphones, and tablets. This number reveals just how much money companies have moved into smartphone ads in response to consumer behavioral trends. Healthcare practices, as a primarily local provider, could benefit greatly by investing in geographically-targeted smartphone ads. Interestingly, desktop grew 12 percent year-over-year based on the device-bidding separation, but tablet spend dropped a whopping 23 percent. 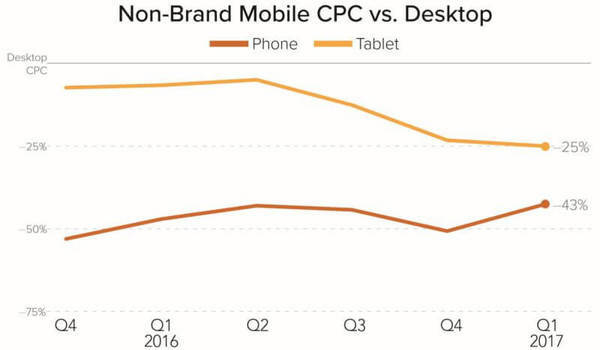 The graph above indicates relative changes in cost-per-click contributed to the contrasting spending moves for smartphones and tablets through AdWords. Product Listing Ads (PLAs), also known as Google Shopping Ads, have also grown drastically as Google has enhanced features and adapted them well to mobile platforms. These ads allow retailers to effectively promote self-selected products with images, prices, and customer ratings when consumers conduct relevant keyword searches. PLAs accounted for 52 percent of quarter one click share, according to Merkle, and they netted 75 percent of clicks to retailers for non-brand searches. Not surprisingly, Google Shopping spending increased by 32 percent, much more than spending from traditional text ads. Collectively, this mobile data reveals that your healthcare marketing needs to include significant emphasis and spending on mobile devices, particularly smartphones. These devices account for the majority of connections between consumers and healthcare providers, and Google remains the dominant delivery channel to facilitate that connection. As an expert in healthcare marketing, Response Mine Interactive can help you leverage mobile opportunities—contact us today!